Beats By Dre, have taken that age-old internet phenomenon 'the selfie' to promote their new Solo2 headphones. The campaign has been inspired by the Karen X. Cheng's viral video called "The donut selfie". Fashion and branding and music collide in Dre's new wireless cans Solo2 campaign by taking advantage of social media trends, recruiting artists, athletes or web celebrities and converting consumers into word-of-mouth marketers to promote the new headphones. 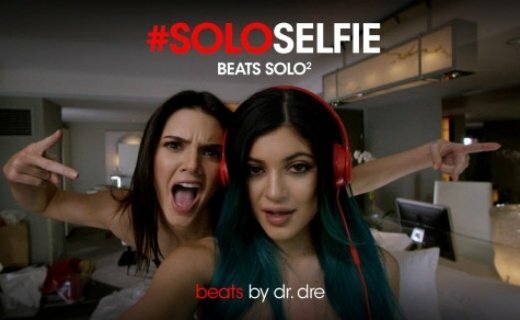 The #SoloSelfie campaign involved people to participate by imitating the celebrities and then sharing brand messages socially. The video campaign also uses many iPhones which reminds us that Apple are globally recognised and subliminally reminds us that they do now acquire Beats. Here are the 4 pillars of the Beat's successful Solo 2 strategy. Though, the execution is clever, in the end given Apple's inclusion we would have expected a more riskier campaign and innovative campaign.